Welcome to The Autotap Corporation! Autotap operates in Brooklyn, Queens and Manhattan. Whether you need product once a month or once a week, we are here to provide service accordingly. We place you on a scheduled route and come by automatically but leave you the option to pre order before your scheduled delivery to provide you with exactly what you want. Coming soon you will be able to order your regular delivery and pay it online prior to arrival to avoid monthly bills. Need gas? Keeping CO2, Nitrogen and Beer gas (gmix) fully stocked on each of our trucks in both 20 lb. and 50 lb. tanks for CO2 and large, medium and small sizes of nitro and gmix. 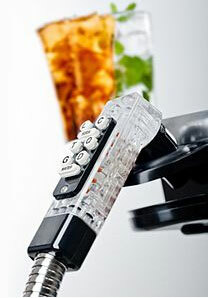 Not only do we provide the product, Autotap also provides the dispensing system. Each system is installed and serviced by our own experienced fountain beverage dispensing technicians. We also specialize in beer systems and line cleaning. Draft beer systems have been part of our operation for decades and we install only the finest and most reliable draft beer equipment. Outside of dispensing equipment we carry a full line of water filters and other products to help keep your system clean on the inside and out. NYC health inspections are a part of the business; ask us about our cleansing products and systems to keep your establishment in compliance with the Board of Health. 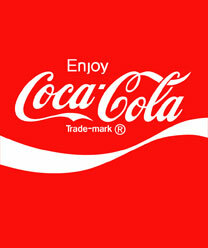 We offer a full line of Coca Cola fountain products as well as a wide range of premium soda and juice products. We proudly feature Lemon-X “Growers Fancy” brand juices, Fox's Classic U-Bet Chocolate Syrup, and a variety of others. Now in our 87th year of service in New York city, Autotap has become a leader in the area of sales, rentals, service, and installation of top quality beverage dispensing equipment. We proudly feature Banner, Perlick, Lancer, Wunderbar, and Micromatic equipment. Call us today and see how we can help you get started. Fill out the form below to inquire about our services.